Eleven-year-old Annie is in an orphanage, presided over by Miss Hannigan, who keeps the little girl orphans in line by bullying and threatening them (“It’s a Hard-Knock Life”). The girls are ever hopeful that they will find parents and happiness (“Maybe”) while Miss Hannigan is unhappy with her situation. Annie decides to escape to find her parents, running into a friendly dog (Sandy) (“Tomorrow”) and the people made homeless because of the Great Depression (“We’d Like To Thank You, Herbert Hoover”). However, she is returned to the orphanage. Grace Farrell, Warbucks’ assistant, picks her to live in Oliver “Daddy” Warbucks’ palatial home for the Christmas holidays (“I Think I’m Gonna Like it Here”). Although initially uncomfortable with each other, Annie and Daddy Warbucks soon come to share a family-like bond (“You Won’t Be An Orphan For Long”). 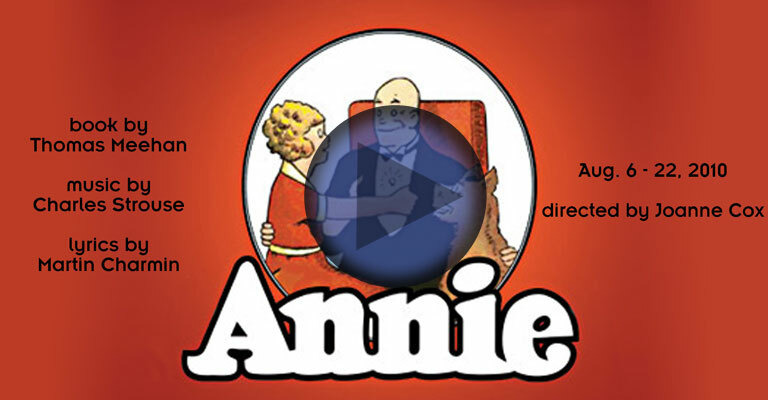 Warbucks wants to adopt her, but Annie insists that her parents will come for her. Over the radio show of Bert Healy, and with the help of President and Mrs. Roosevelt, Warbucks offers a reward for the parents (“You’re Never Fully Dressed Without a Smile”). Miss Hannigan and her brother, Rooster, and his slightly ditzy girlfriend, Lily St. Regis, scheme to pretend to be the parents and collect the reward (“Easy Street”). When they are found out, it is revealed that Annie’s parents have died. Warbucks and Annie become a family (“I Don’t Need Anything But You”).